I’m talking about the snow and cold of course. What else is there to talk about besides the weather? 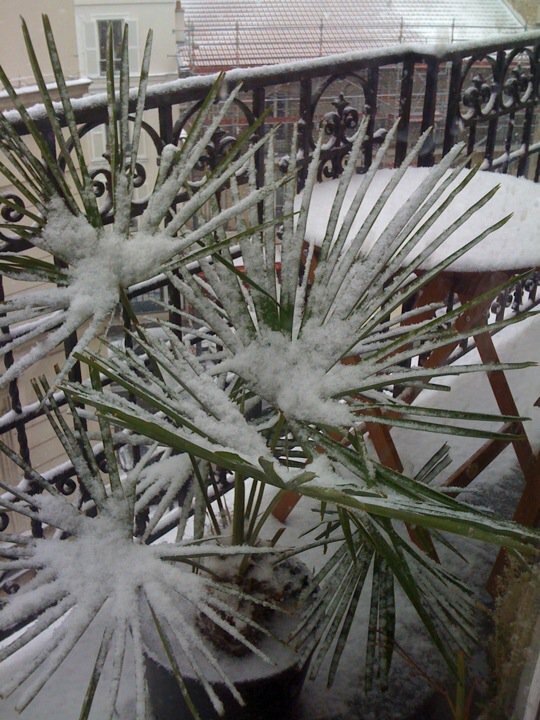 It’s snowmaggedon in the US and it’s flurry-geddon in Paris. It’s flurrying every 5 minutes (isn’t that sort of redundant?). Although I have a feeling that this winter is a bad one, it’s actually not record breaking. Over here, at least. I knew it! I had a feeling it was too good to be true. Those nice sunny days we had in January was just a bad form of teasing. It’s not over ’til it’s over people!! I’m now dreaming about that Marrakesh trip we’re planning for March.